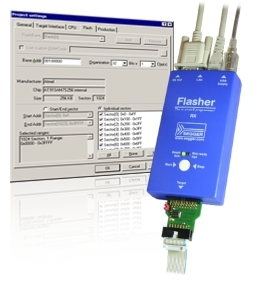 Remote Control via RS232 & Ethernet. 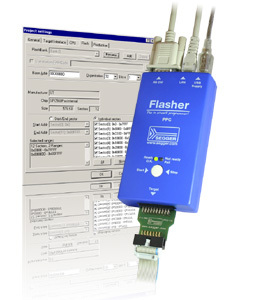 Easy integration into production environments. 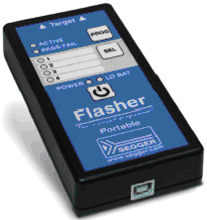 The Flasher Portable is a battery powered programmer for targets based on ARM, PPC or RX architectures. 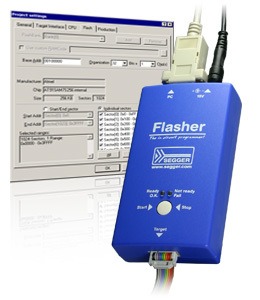 It has a simple interface to allow the selection of different firmware settings and images stored inside the Flasher. 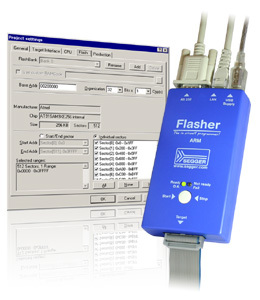 Flasher RX is a programming tool for Renesas RX600 series microcontrollers with on-chip or external flash memory and Renesas RX core. 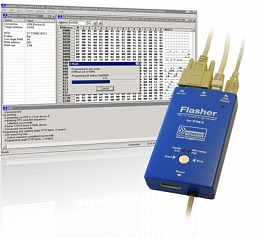 Flasher PPC is a programming tool for PowerPC based microcontrollers with on-chip or external flash memory.